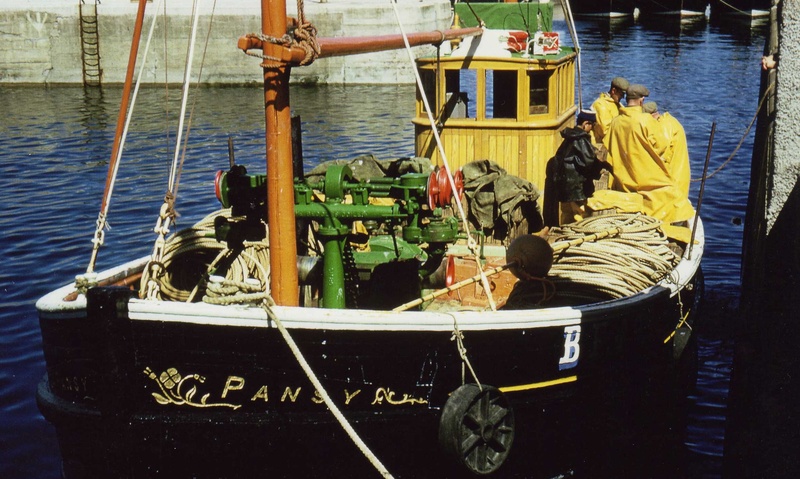 Pansy BF494 was built by the Macduff Engineering Co. in 1937. 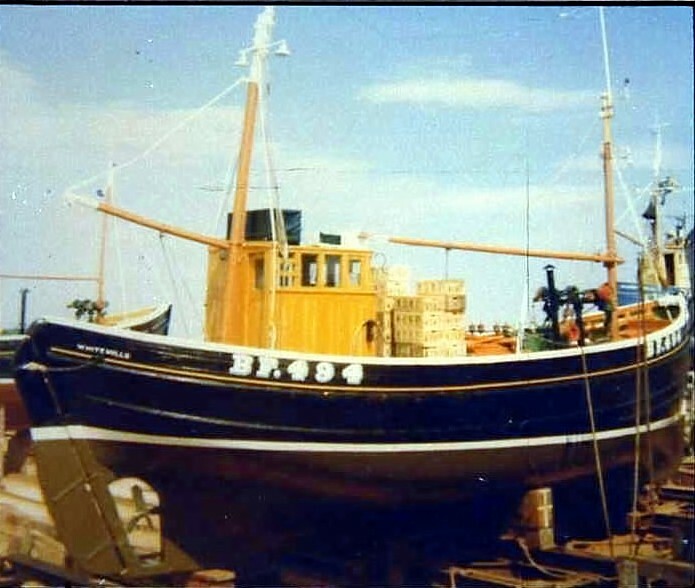 She was built for J Wiseman and others of Whitehills and as far as we can see, had no other owners or name/number until she was sold to a Peter Cull of Hartlepool in 1971. 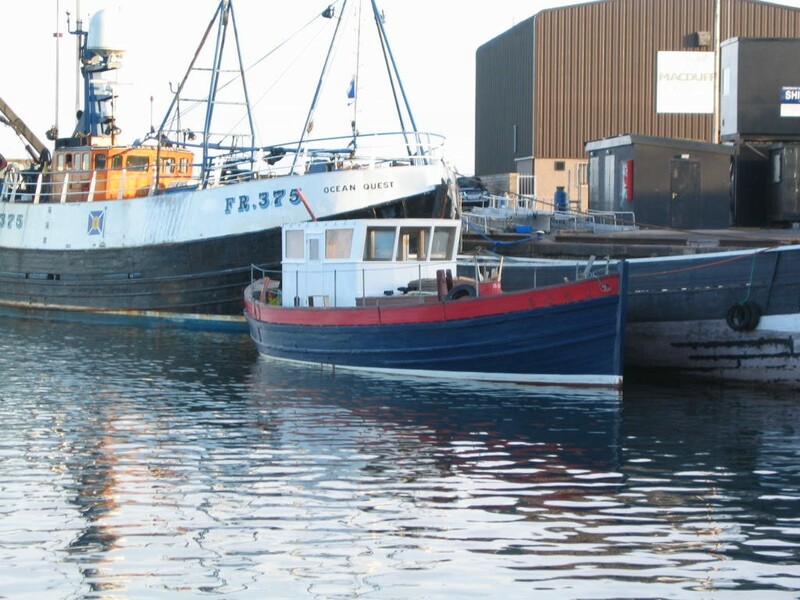 The dimensions given on her registration card are: length 37 ft 5 inches (reg) 45 ft 9 inches (overall); keel 38 ft 7 inches; breadth 14 ft 7 inches; depth 6 ft; gross tonnage 14.88; Kelvin 66 BHP diesel. 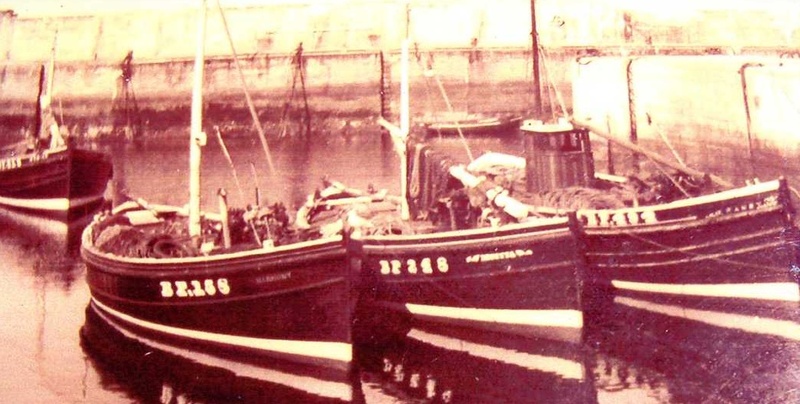 She was built as a replacement for another boat called Pansy, a 70ft Zulu, BF1084 . 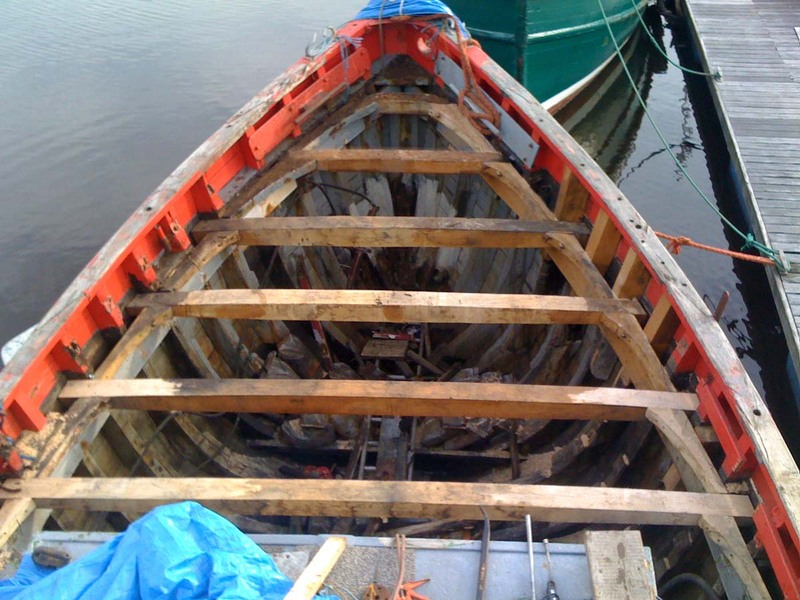 This First Pansy was recently discovered lying intact on the bottom of Loch Ness. 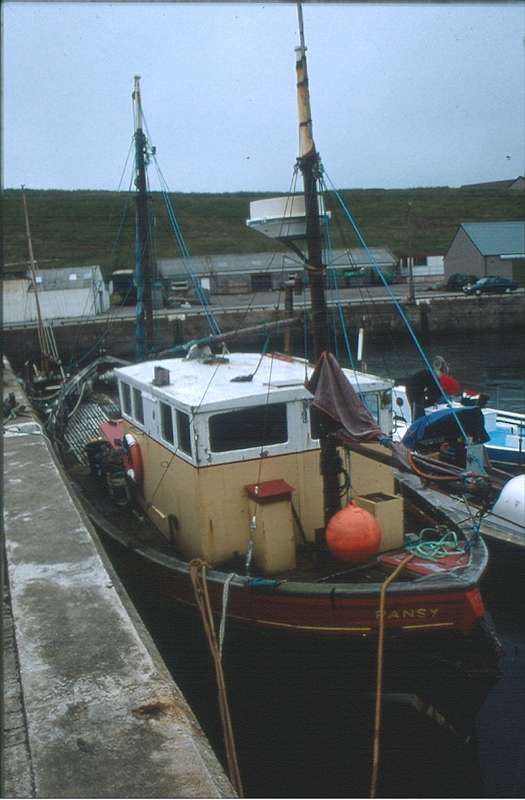 Pansy s believed to be the very last Zulu/Fifie hybrid of her class still afloat She was nearly lost in the early 1940s as she entered the harbour at Whitehills, the Royal Navy had installed and were testing large flame throwers on the pier to deter enemy forces , in the presence of Royal Navy top Brass the full force of the flame throwers was unleashed. 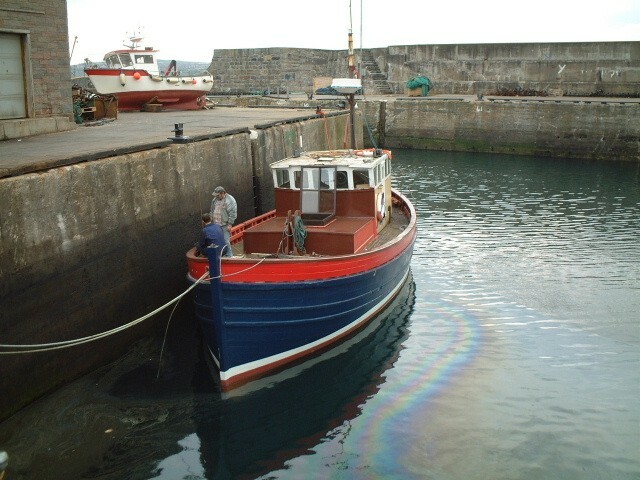 Unfortunately the wind was from the west and a large slick of burning crude oil was blown back into the harbour and against Pansy. 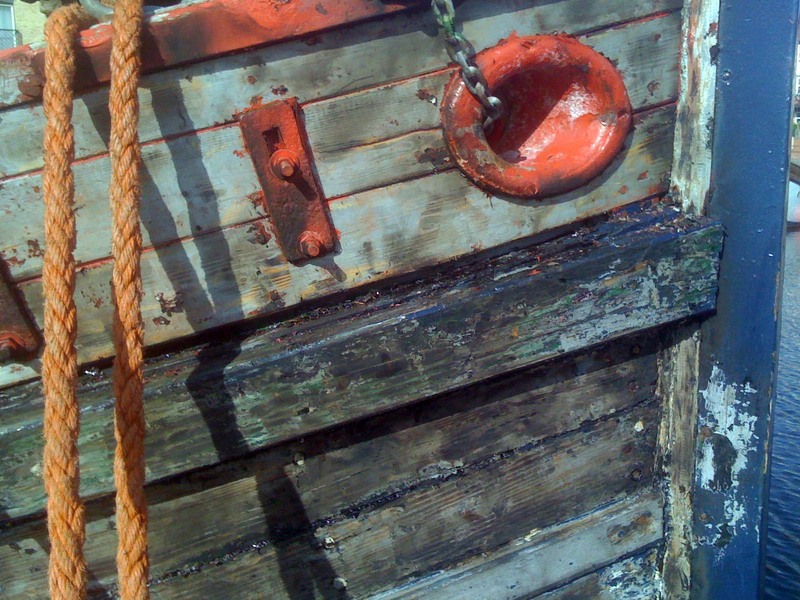 Quick action by other local fisherman managed to save her though. 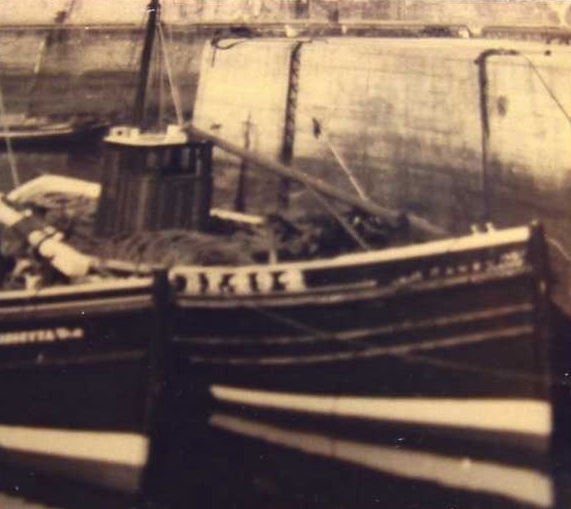 She continued Fishing out of Whitehills until 1969 when she was sold first to North Shields and then onto Grimsby where she was finally decomissioned in 1980 and was converted to a houseboat, she made regular visits back up to Scotland and was eventually left to rot in Banff harbour in the late 1990s when the previous owner acquired her. 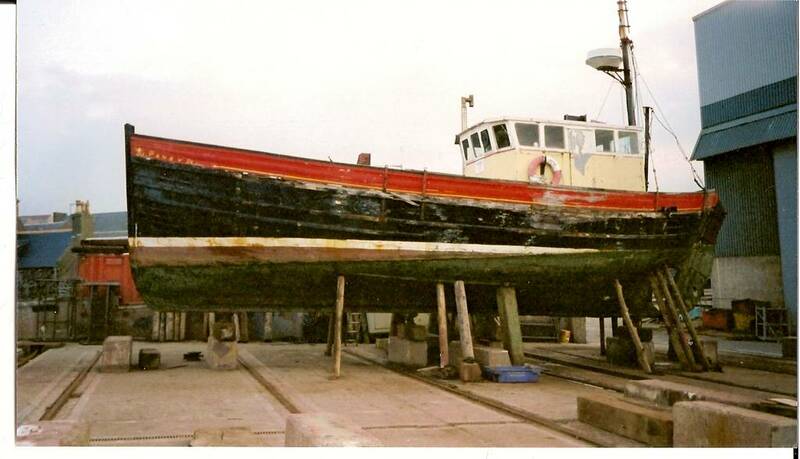 Prior to that she had run aground at some point under Kessock Bridge and nearly sank before being left in Banff The previous owner acquired her in 2001 and she nearly sank again on the short trip from Banff to Macduff. 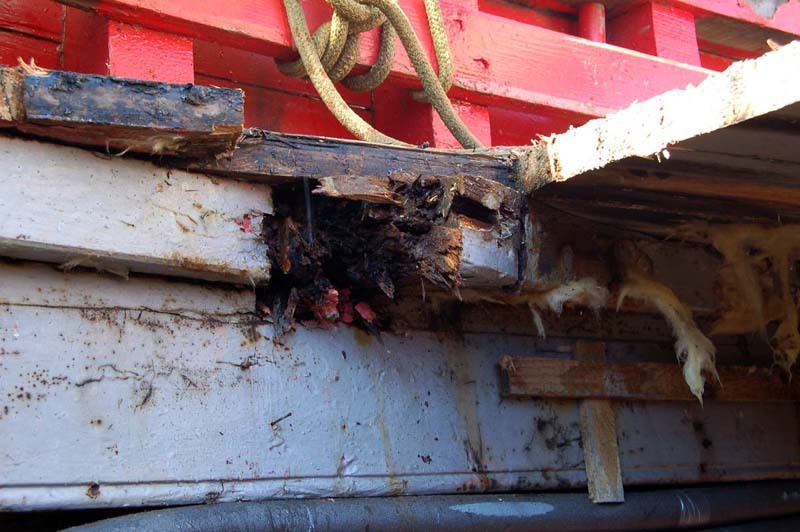 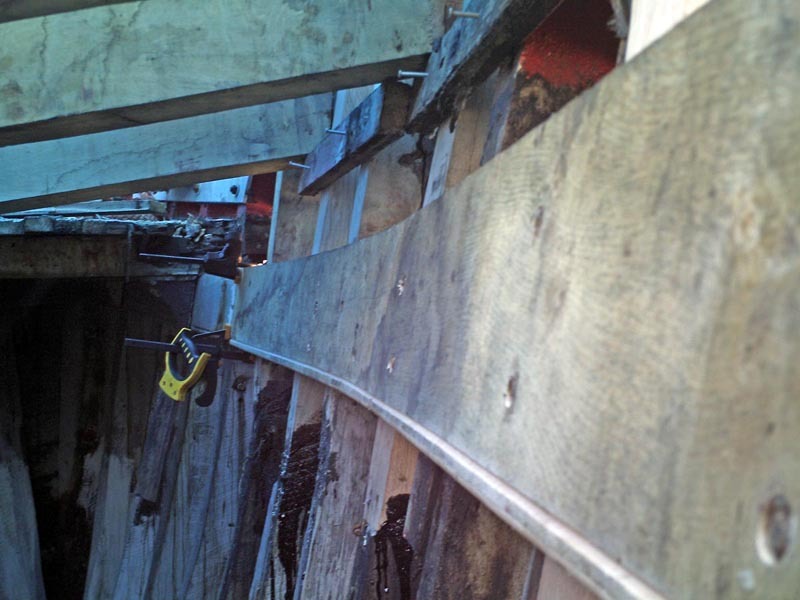 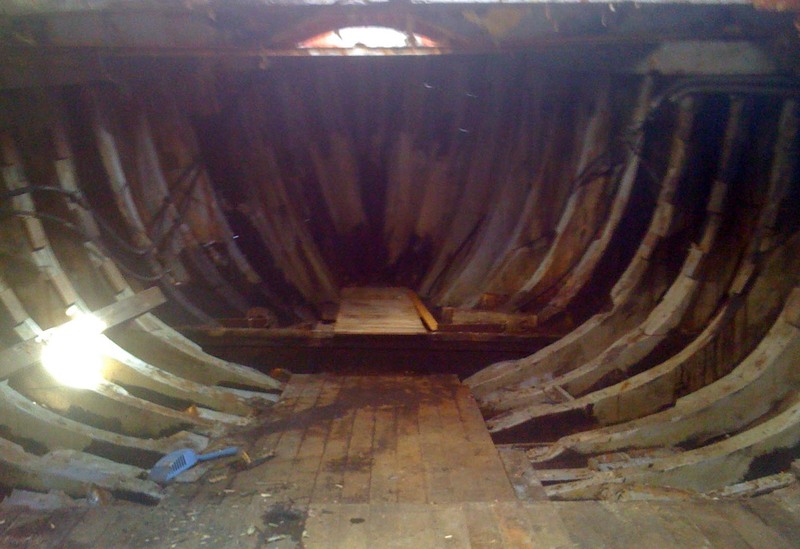 So bad were the leaks that Buchan Hall Mitchell took her straight up onto the slip and started repairs. 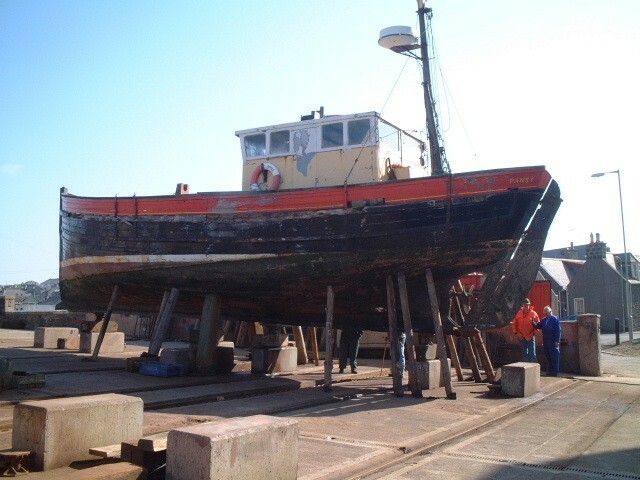 Much planking was replaced below the waterline, and the Kelvin which had suffered from being under water was removed and replaced with a Modern Ford Lehman 120hp engine. 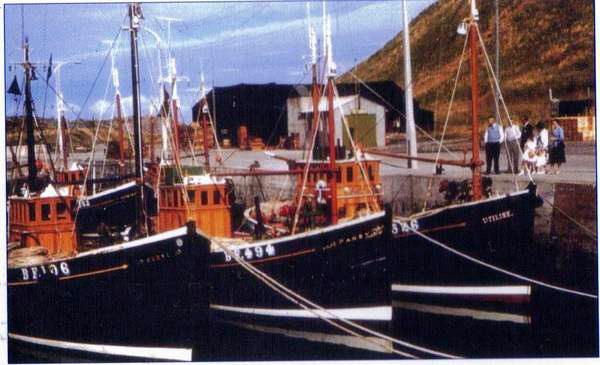 The original masts and rigging were still in situ at this point but were removed and unfortunately scrapped. 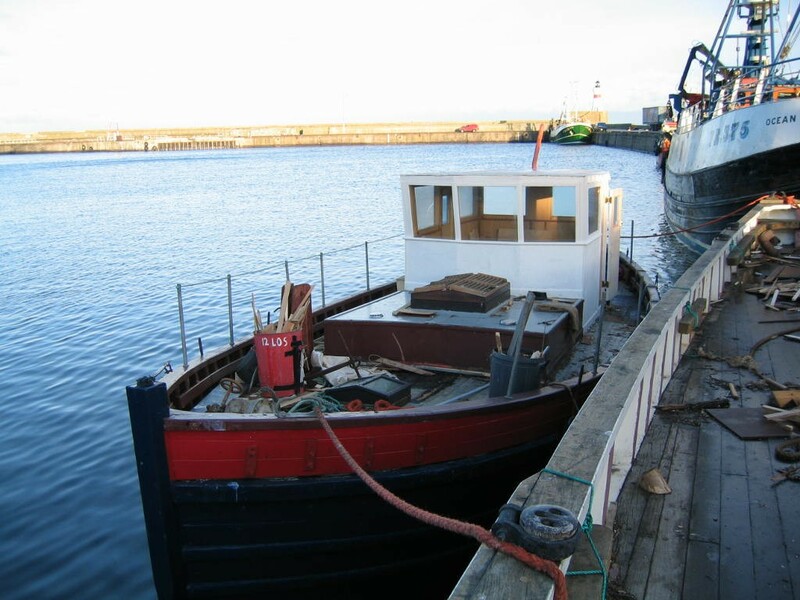 She was refitted internally and for the next few years was used on the Caledonian Canal. 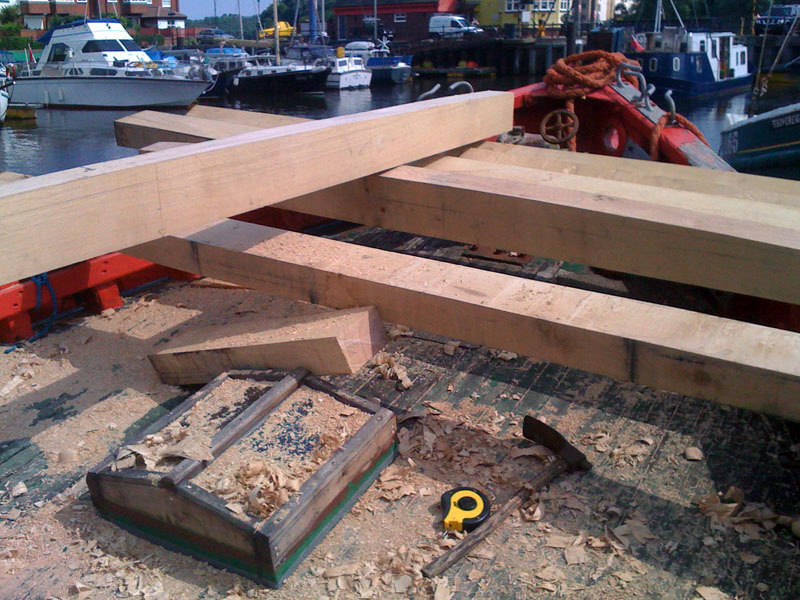 Whilst much work had been done below the waterline, most of the timbers above the waterline were rotting badly, and over the last 18 months the deck has been removed, deckbeams, knees and beamshelf has been replaced with new Scottish oak and a new deck laid. 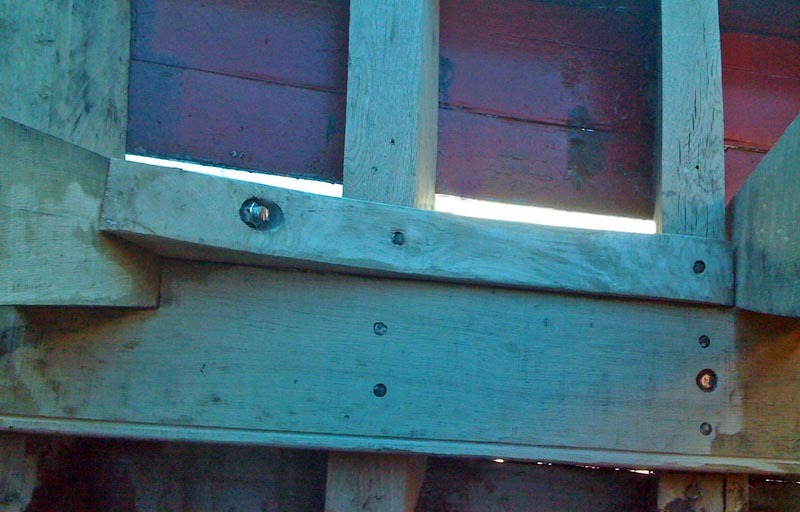 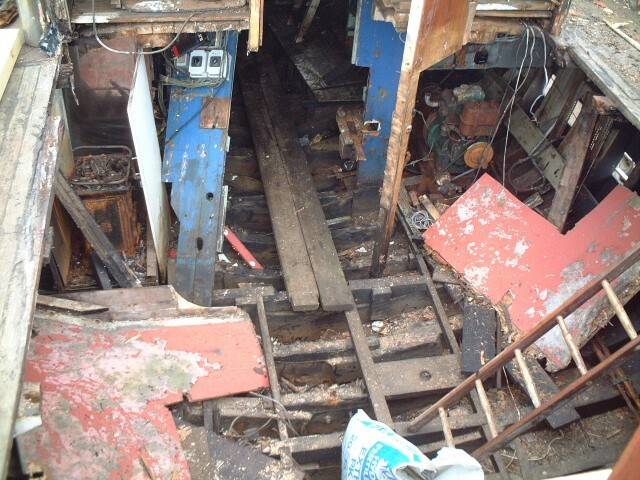 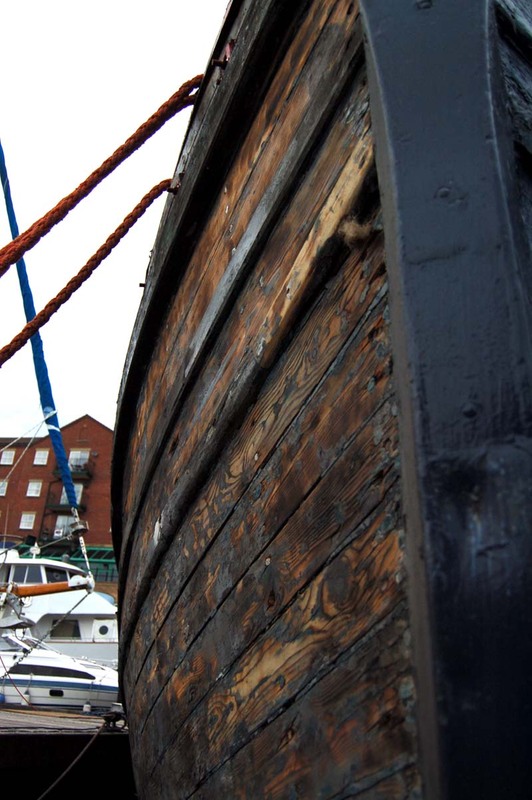 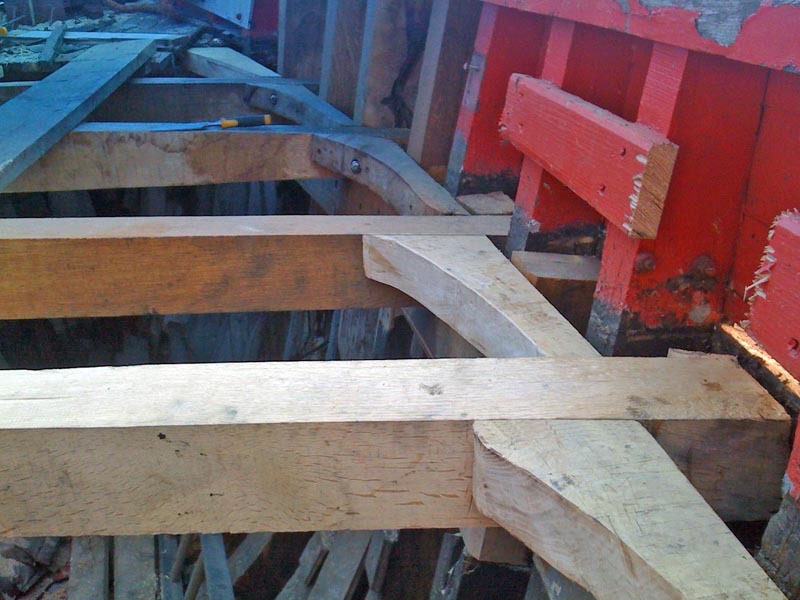 A photographic record of all the work has been kept and the work is ongoing , the internal fitout has been completely removed, the wheelhouse is also due to be rebuilt more sympathetic to the original design, and she is to be demasted and re-rigged as she was originally.